Lavatube Review - Top Features, Ratings, Pros & Cons! Home → E-Cigs → Lavatube Review – Top Features, Ratings, Pros & Cons! 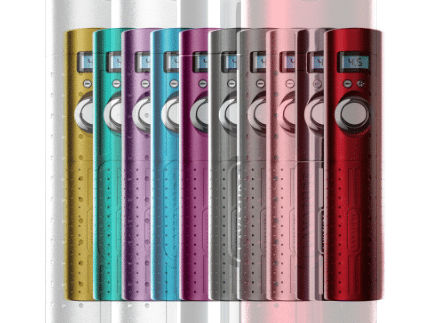 Lavatube Review – Top Features, Ratings, Pros & Cons! Seven years ago, Volcano, a leading manufacturer of cigarettes based in Hawaii, gave us the Volcano e-cigarettes, which were prolific enough in themselves but nothing prepared vapers for the Lavatube v2 5. It never seemed possible at first that Volcano would go ahead to give the original Lavatube e-cig a boost but surprisingly, they did. They went ahead and proved they had more up their sleeve. The results? Meet the Lavatube version 2 which they have set apart not just from its predecessor but other e-cigs by packing into it new features that make it more user-friendly, not to mention giving it better vapor production performance. Add that to that the fact that it comes with a 15ml e-liquid of your choice. By the way, are you aware volcano has a ridiculously wide and vibrant array of flavors that will leave you spoilt for choice? Vaping has never been this good. To say that the Lavatube version 2 is a game changer in the vaping space is a huge understatement. So read more into this Lavatube review and you’ll truly marvel at the tweaking Volcano did to the original Lavatube e-cig to get us this far. A very feature of this unit is that it’s has been handcrafted from top grade aluminum alloy and this doesn’t just make it strong yet lightweight but also stylish. Engraved straight into the casing is a dot matrix pattern which isn’t just for beauty but also enhancing the gripping. If you wish to show off your personal style, you can go ahead and choose its different enticing colors that also match very well with the company’s range of anodized drip tips. Unlike its predecessor, now we have a version with increased ease of use, better button functionality and improved and consistent vapor production regardless of whether the battery is fully charged or running low. On providing a smooth and enjoyable vaping experience, the Lavatube version 2 scores just highly and this is due to several reasons including its feature rich tank you will get to know more about later in our Lavatube 2.5 review. For its price, what you are set to gain from this unit is way more than what you could ask for. Not even a cheaper alternative can match up to its potential. Not only is it made from high-grade aluminum alloy, the version also shared the pride of being a handcrafted device. Thanks to this combination, it’s now a lightweight unit that is also very easy to handle. On top of that, it has on a dot matrix pattern which makes gripping it easy so that the device stays put in your hand while vaping. By combining the power and activation button, Volcano reduced the number of buttons to 3 from the initial 4 buttons that were found on the original Lavatube. The other two buttons include a fire button and two secondary buttons which assist in lowering and increasing voltage and wattage. One reason for this was to increase its safety by eliminating the issue of misfires. In terms of functionality, the buttons now work so smoothly without getting stuck. Lavatube 3.0 also shares the same button functionality. A new, brighter and easier to read LCD is one of the highlights on this second version of the Lavatube. Bright blue in color and bigger in size, it now notifies you when your battery is fully depleted by displaying “Lo”. This will be done just before the device automatically shuts down as it serves to protect itself from complete battery depletion. The LCD is also a gorgeous addition to the overall aesthetics of the device. A great addition to the Lavatube version 2 is the heat coil spring. Not only does it allow the device to use a wider range of rechargeable batteries, but also helps avert damage to the device in case any situation that poses a threat to the battery’s performance comes up. It works by severing the electric connection with the e-cigarette should the heat conditions be too high. First, a second vent hole has been added to the device for added efficiency in venting the battery gasses. Secondly, in case the activation button is pressed for more than 15 minutes, the device will automatically shut down to prevent any damage to itself. And thirdly, the Lavatube version 2 has a battery voltage checker and a heat element resistance checker to ensure the device and its owner vape under safe conditions. If you are a beginner in this vaping space, this version may not be the best device for you to start with. Granted, there are beginners who find it easy to use on the first try and go on to enjoy is as much as the advanced user. If you are serious about wanting to know how this unit works so as you can go on to use it, go ahead and watch the video below for guidance. However, a regular uncomplicated e-cigarette could ease you into vaping slowly enough to get the hang of it before moving on to an advanced device such as the Lavatube version 2. While the functionality of the new 3 buttons on the device is unquestionable, the closeness of the buttons can get in the way. And this is a bit off putting especially when you have already started vaping and have found the right hit but accidentally keep pressing your wattage up or down. You don’t really wish that such a situation would happen to you. Unfortunately, the battery will only display “Lo” when fully depleted. Since there is no warning given and the device continues with a good consistent vapor production, this setback can catch you unaware in the midst of your vaping experience. One of the things that make this unit great is the safety that has been incorporated into its coil spring. The new heat coil spring will collapse and severe the electric connection when it detects unusually high heat conditions which can damage the device. Additional safety features include the battery voltage checker as well as the heating element resistance checker. Both allow you to keep the device safe from conditions that are not conducive to it. “State of the art” is the perfect to use to describe this unit’s tank. It contains a cotton polyfill cartomizer that feeds the e-liquid into the wick and element continuously using a hole in the center. Then we have the three Kanthal coils each of which has three wick holes. Once combined, these features help this tank to generate the best flavor compared with other tanks in the same category. The device also boasts of two levels of resistance in the cartomizers; 4ml (1.5 ohms) or 7ml (3 ohms). Just ensure you use the right voltage for the right cartomizer to prevent damage. Here’s a perfect example, the 1.5-ohm cartomizer should never use over 4 volts. Other than that, the Lavatube version 2 features a 510 threading and that makes it easy to work with any cartomizer. Included with the Lavatube version 2 is a LavaCell 18650 rechargeable lithium battery. Here’s an amazing fact about this battery. It’s one of the highest powered PVs available today. In fact, to increase its ability, Volcano has increased the cell’s amperage limit from to 3 amps from 2.5 amps. In case the current is too high, the device will protects itself by reducing the voltage level. In other instances, it will completely shut down when it detects such harsh conditions. From our Lavatube review, it’s not hard to tell that this version of the Lavatube is a vapers dream come true Made with the advanced vaper in mind, the Lavatube v2 5 is meant for a true vaping connoisseur. Volcano outdid themselves by emphasizing on the quality vapor production, safety, and functionality of the unit. So if you are looking to graduate from the regular e-cigarettes to something more advanced, the Lavatube version 2 is the way to go.